OK - usually I try to keep it to car posts, but I need some advice. This inkject printer is about 2 years old, and I’ve had problems from maybe day 30. Started to get feathery printing on the sides of the page, so I did all the cleanings and alignments. Still didn’t do so well, so I switched to aftermarket cartridges (also much cheaper) yet the same issues. Back to Canon cartridges, and it got even worse. To be fair, I use the printer about every other month. Finally - back to aftermarket cartridges and feathered edges, then barely any text, then blank pages. 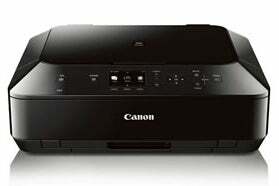 Talked to Canon today, and they will do nothing for me except a new printer at full price. And yes - I do have the advantage of having been a low-level lawyer on an Epson case. Sued b/c they did not disclose that in B/W mode the printer used color inks to get the letters to pop, and b/c the cartridges did not use all the ink in them. Do not care about this litigation, but it taught me that Canon printers were superior - I had an Epson before this. Any suggestions from you tech people, or just throw it away and start again?